It is with a heavy heart that we announce the passing of a highly respected member of the Los Angele Fire Department. Fire Inspector Jerald L. Coates left us suddenly on Sunday afternoon, May 20, 2012, while off-duty and in the comfort of his own home. 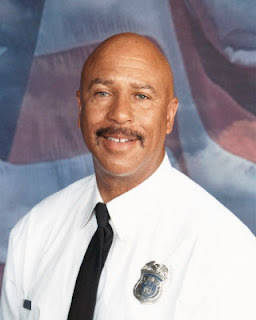 He was an active-duty, 25-year veteran of the Department, having been appointed to the LAFD in 1987. In his nearly three decades of service to the people of Los Angeles, the 59 year-old Coates held a variety of demanding assignments. In 2001, he was promoted to the Fire Prevention Bureau, where he specialized in "underground tanks." He then joined the Brush Clearance Unit in 2010. As a member of this small team of 13 inspectors, Coates helped supervise brush clearance issues of nearly 180,000 parcels, citywide. He truly enjoyed educating the community about the dangers of wildfire and was routinely lauded by residents for his firm, but fair handling of difficult situations. And by all accounts, he took great pride in personalized public service. We kindly ask you to keep Inspector Jerald L. Coates and his loved-ones in your thoughts and prayers. He is survived by his longtime girlfriend, Donailah and his 25 year-old son, Oryan. Inspector Jerald L. Coates, as we together, will mourn his passing.